We´re now in phase 1 in Indonesia – the screening process. 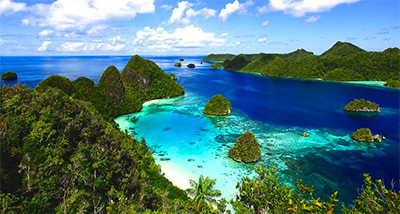 A short list has been selected of the sites with the most potential for a PPP and impact investment scheme and of them, preliminary work has started in Sabang Aceh Province for the co-management of the 3 MPAS – Taman Wisata Laut (Marine Tourism Park) Sabang Pulau Weh, and Kawasan konservasi Perairan Daerah (Marine Conservation Area) Pesisir Timur Pulau Weh. The two areas cover almost 50% of the coastal area. An initial proposal is being assessed by local and national governments.